This Tim Foxall spatula clearly has a personality. 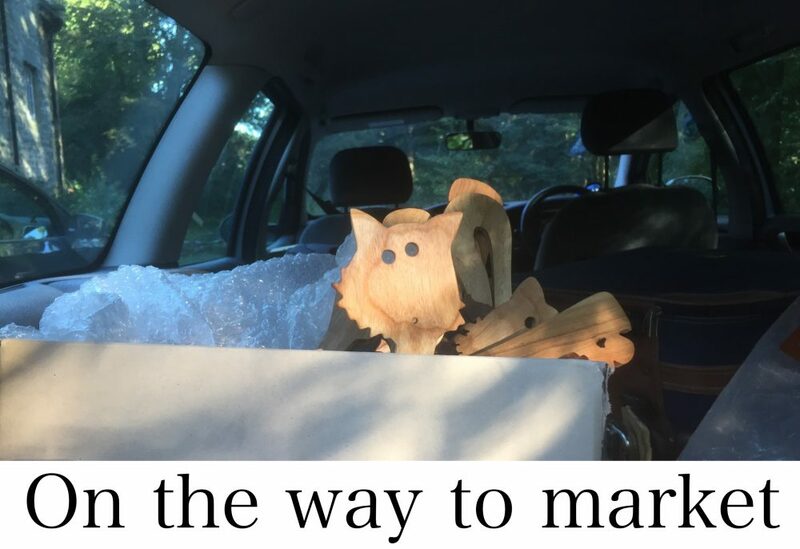 Hope it found a new home! 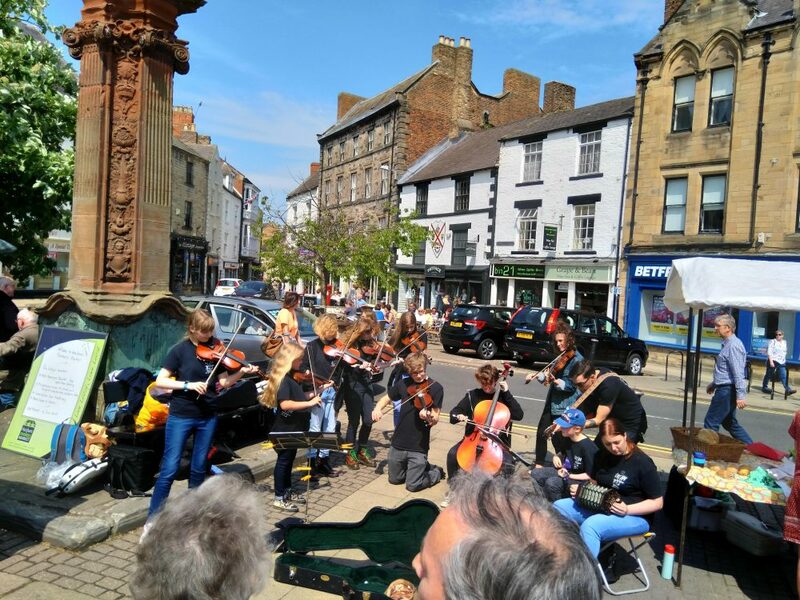 We’re always keen to have people play music at the market and you will have noticed that we had Cream Tees from Barnard Castle playing with us on the last market in May. They were in Hexhan for the Hexham Gathering and we were pleased the young people were able to join us for a slot too. None of us knew that the Market place would be reverberating with the sound of drumming for an hour between 11 and 12! Fortunately there was enough time for Cream Tees to give us a portion of their repertoire, once the drums fell silent. We’re delighted that Jack Famelton, a young Northumbrian piper will join us on the first market in June. Do you get confused about the dates for Hexham Farmers’ Market? To help you remember we do a flyer with the dates for the farmers’ market about every six months and we have just published the flyer for Summer 2018. It gives the dates between the end of April and the beginning of October 2018. During this time the farmers’ market runs between 9am and 2pm, our summer hours. You will be able to down load the flyer from our Market Dates page and we’ll have printed copies available on the market itself from 14 April 2018 onwards. We also try and get some to the Tourist Information Point in the Queen’s Hall. If you run a tourism business and would like to be able to give up to date information about the market to your guests, please get in touch via the contact page on this website or by emailing the market manager on hexhamfarmersmarket@gmail.com and we’ll be happy to send some out. 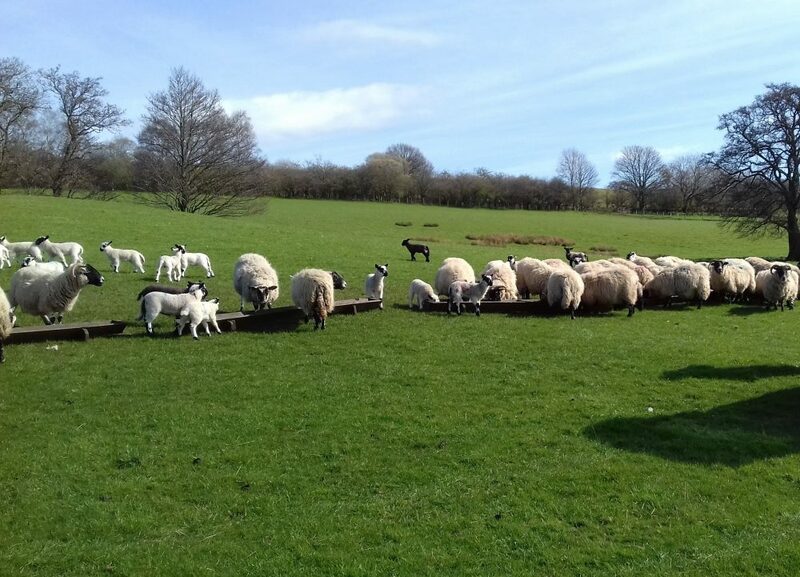 The end of March is lambing time on farms across the North of England. It’s a very busy time for our farmers who are often working round the clock to ensure the new lambs are safely delivered, the ewes know how to look after them, the lambs have had a drink of their mother’s milk, and that everything is generally ok. After the recent cold weather grass is still not growing much so in addition to looking after the lambing they are also still having to make sure everything has access to plenty hay or silage. Beacuse of all that it is perhaps no wonder that a couple of our farmers will be missing this weekend: Ann Gray from Ravensworth Farm and Carron Craighead for Middlemay Lamb will both be missing this weekend. We are very pleased though to welcome back Brian from Northumbria Preserves, maker of fantastic jams and chutneys and the best roast tomato relish we know, and Tim Foxall, maker of spatulas that travel the world. With Mother’s Day 2018 on Sunday this coming Saturday is the very best time to come and select some delicious ingredients for a special meal or a lovely Mother’s Day treat. The ladies from Hexham Country Market will be back after their winter break, so you’ll have a chance to buy some of their gorgeous cakes, or buy a locally made marmalade for that special breakfast. And while you’re thinking about breakfast, you could add some of the best bread in Northumberland from Bread and Roses, organic eggs from Askerton Castle and perhaps a rasher of bacon (or two) from Bywell Fish and Game. 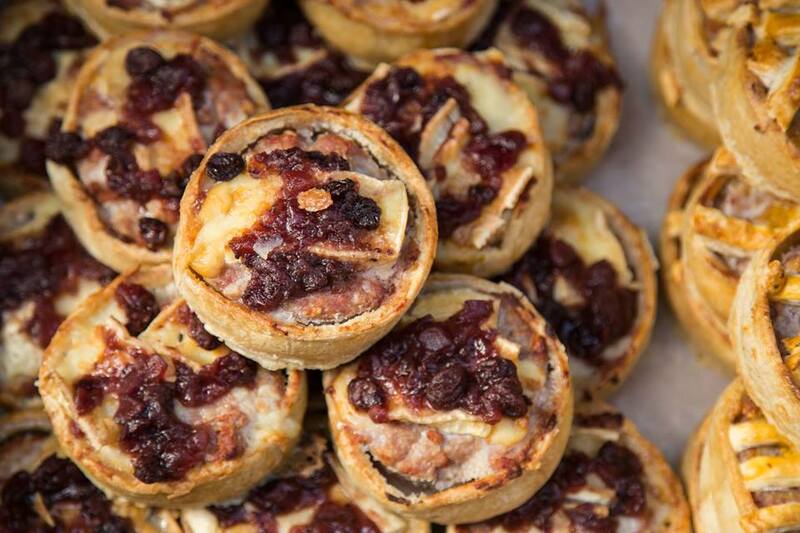 We’re delighted to welcome the Cumbrian Pie Company to the market this coming weekend as a guest producer. The company is well-established in Cumbria and has been expanding into the North East. We’re delighted that they are now able to join us in Hexham. The pies are all handmade with the finest ingredients and you’ll find an excellent range of flavours to tempt you. Hexham Farmers’ Market has been without a regular pie producer since the very untimely death of Kenny, who was the Prince of Pies nearly two years ago. We’ll not forget Kenny, but are very pleased that The Cumbria Pie Company is keen to take on the pie-mantel!